Anesthesia risks for young children: Research on brain damage in animals doesn’t offer clear conclusions about kids. Now there are concerns that anesthesia can harm young children’s brains. Here’s what parents need to know. Keep in mind that anesthesia provides huge benefits. Not only would it be cruel to perform surgeries on children without it, but also the stress and pain from the experience would likely harm kids’ brains. A worrisome new study caught my eye last week as I perused the website of the journal Pediatrics. It was titled “Cognition and Brain Structure Following Early Childhood Surgery With Anesthesia.” Considering that my now 4-year-old underwent general anesthesia for a minor procedure when he was 2 and that my 14-month-old may be a candidate for ear tube surgery, my interest was immediately piqued. I clicked through and came face to face with a whole lot of yuck. The first sentence alone made me gasp: “Anesthetics induce widespread cell death, permanent neuronal deletion, and neurocognitive impairment in immature animals, raising substantial concerns about similar effects occurring in young children.” Wait, so anesthesia causes brain damage? Why didn’t anyone tell me? I thought. Obviously, I needed to know more. Considering that 6 million American children—including 1.5 million babies under the age of 1—undergo general anesthesia each year, this seemed like a pretty serious issue to delve into. Concerns over the long-term neurological effects of anesthesia first surfaced around 2000. Researchers working with young rats discovered that when they administered drugs that affected signaling pathways in the brain that involved the chemicals NMDA and GABA, some of their brain cells died. Scientists knew that drugs used to induce general anesthesia also affected these pathways, so they wondered whether they might affect the developing brain as well. To find out, in 2003, researchers at the University of Virginia and Washington University at St. Louis exposed young rats to anesthetics and found that doing so did kill many of their brain cells and led to learning and memory problems. Since then, studies conducted in different animals have had similar unsettling results. But what happened to these animals tells us little about what will happen to our children. For one thing, the 2003 study put rats under general anesthesia for six straight hours. Not only is six hours a really long time in general—in the recent Pediatrics study, the children who underwent surgery before the age of 4 were only under anesthesia for an average of 37 minutes—but in rats, this duration also encompasses a much larger proportion of their lifetime. As one recent review paper put it, “hours of exposure in rat pups are likely equivalent to weeks of exposure in infants.” It is generally believed that if anesthesia has an effect on the developing brain, it’s related to duration of exposure, so just because rats can’t find their way through mazes after six hours of anesthesia doesn’t mean that your kid will start failing out of school after a 30-minute inguinal hernia repair. Researchers also often administer large amounts of anesthetics to animals—in some cases more than 10 times the amount per unit of body weight than is given to children, because compared with humans, monkeys and rodents require higher doses of certain types of intravenous anesthetics, such as ketamine, to experience the desired effect. These doses are so high that between 20 and 80 percent of animals put under anesthesia in these studies die, even though they, unlike kids who undergo surgery, aren’t actually sick or being operated on. The fact that these animals aren’t actually undergoing surgery might also be important. Research in animals suggests that the experience of pain in infancy can cause cognitive problems down the line and that anesthetics can protect against these effects. In other words, anesthetics may have a different effect on the brain when they are administered during painful procedures such as surgeries than they do when administered in pain-free situations, such as in the animal studies that have been designed to study the effects of anesthesia alone. Since the results of animal studies can be so difficult to interpret, scientists have also tried to shed light on the issue by comparing children who have undergone anesthesia with similar kids who have not. A 2009 study conducted by researchers at the Mayo Clinic found, for instance, that children who had undergone anesthesia more than once before the age of 4 were more likely to later be diagnosed with a learning disability than were kids who had never undergone anesthesia. (Those who had only gone under anesthesia once were not any more likely to be diagnosed with a learning disability.) In a follow-up study, some of the same researchers found that the kids who had undergone anesthesia more than twice before the age of 2 had nearly double the risk of being diagnosed with such disorders. While these studies raise potential concerns, they do at least suggest that a single bout of anesthesia in a young child may not be worth worrying about. And here’s the other thing about those two studies, as well as others that have been done over the years: Kids who undergo anesthesia are often markedly different from kids who don’t. They presumably have, or at least used to have, an underlying medical condition that required a surgery, and it’s possible that this condition, rather than the anesthesia, causes any observed deficits. The most common ambulatory surgery in children is the insertion of ear tubes—1 in every 15 American kids gets them by the age of 3—and many of the studies that have found associations between anesthesia and learning problems have included kids who have gotten ear tubes. But one of the main reasons kids get ear tubes is because they’re suffering hearing loss as a result of frequent ear infections, and this hearing loss could, in certain kids, itself be a risk factor for intellectual deficits. To try to minimize the differences between kids who undergo surgery and kids who don’t, some researchers have conducted sibling studies in which they compare cognitive and academic outcomes between siblings—typically identical or fraternal twins—when one has had surgery and one hasn’t. In one such study, published in 2009, researchers from the Netherlands looked at nearly 1,200 pairs of twins. They found that surgeries tended to cluster in families: Usually if one twin had surgery, the other did as well. When they grouped all the kids who had undergone anesthesia prior to the age of 3 together and compared them with all the kids who had not, they found that those who had been anesthetized had lower educational achievement on average. But when they looked specifically at the 70 twin pairs in which one had experienced anesthesia prior to the age of 3 and one hadn’t, and they directly compared the achievements of the exposed sibling with those of the unexposed sibling, they found no differences between them. I’m not saying that we shouldn’t care about and continue to study the potential effects of anesthesia on kids’ brains. We very much should—and many anesthesiologists, in concert with a handful of American medical and regulatory societies, are doing just that. But for now, remember that these risks haven’t been proven; they’re still only a possibility, albeit a concerning one. Also keep in mind that anesthesia provides huge benefits. Not only would it be cruel to perform surgeries on children without it, but also the stress and pain from the experience would likely harm kids’ brains. And doctors don’t recommend the kinds of procedures that require general anesthesia for kids unless the risks associated with not doing the surgery are large. In other words, it would be foolish to turn down a necessary surgery for your child just because you’re scared of the long-term effects of anesthesia, because the benefits of the surgery are likely to far outweigh the risks. But is there anything parents can do to further minimize potential risks? Perhaps. First, ask your doctor whether the procedure requires general anesthesia; if regional anesthesia is an option, it could be safer. Ask, too, about timing. If there is no risk associated with waiting to get the surgery, then consider putting it off for a while—scientists speculate that the effects of anesthesia on the brain decrease with age. Some anesthesiologists also believe that certain types of anesthetics, such as opioids, clonidine, and dexmedetomidine, which affect pathways other than those involving GABA and NMDA, may be safer for the brain than the others, so consider asking whether these anesthetics might be available. Finally, if your hospital allows you to have a say in choosing an anesthesiologist, request the one who works on children the most frequently. 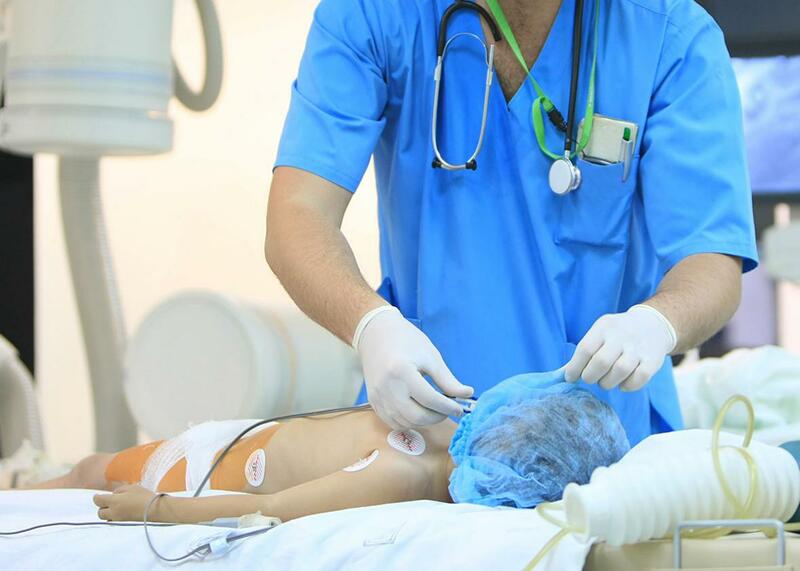 One study found that children had one-fifth the risk of anesthesia-related complications when their anesthesiologists performed more than 200 pediatric surgeries a year versus those who did fewer than 100 a year. Even in pediatric anesthesiology, it seems, practice makes perfect.